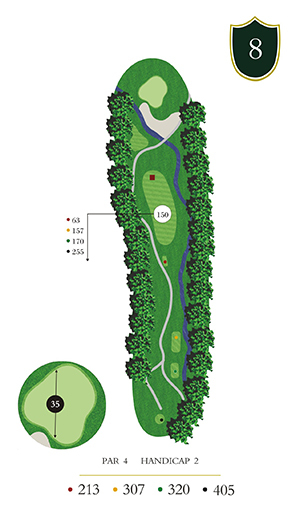 From the upper tee boxes, Hole 8 is considered the most difficult tee shot at River Oaks. 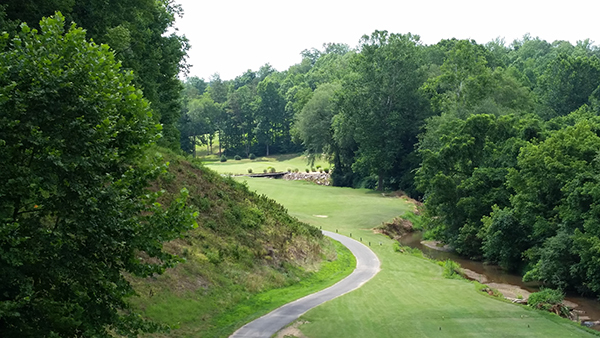 The fairway is guarded by a creek on the right and a wooded hill on the left. Your second shot must clear the creek to find the spacious green. A large waste bunker protects your approach shot.